老兵は死なず、ただ消え去るのみ：Old soldiers never die; they just fade away. 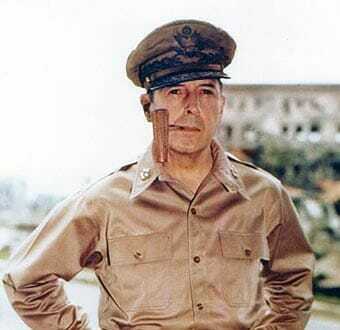 (31 Dec 1951) General MacArthur Comes Home Fired from his post as UN Commander by President Truman, General Douglas MacArthur returns to the US for the first time in 14 years. At the San Francisco airport, he and his family are greeted by huge throngs. In Washington DC, MacArthur speaks to a jammed joint session of Congress, his touching valedictory made memorable by a quote from an old barracks ballad: “Old soldiers never die, they just fade away”.